EzCheckPrinting check writer saves customers time and money on checks because it allows customers to print professional checks with micr encoding line, logo and signature on blank stock in house easily. You will never know who will handle your checks. The personalized bank checks are also a great way to differentiate your company and get your brand out in the marketplace. Just follow the instructions on the download page to finish the installation. Do not click the installation file again once you installed ezCheckPrinting software on your Macintosh. 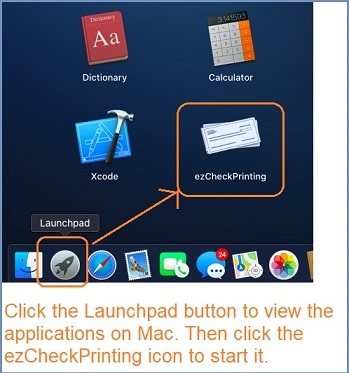 You can open ezCheckPrinting application by clicking the LaunchPad button, which is similar to Windows's Show Desktop button. Click the Launchpad button, then you will see the current applications intalled on your Mac machine. 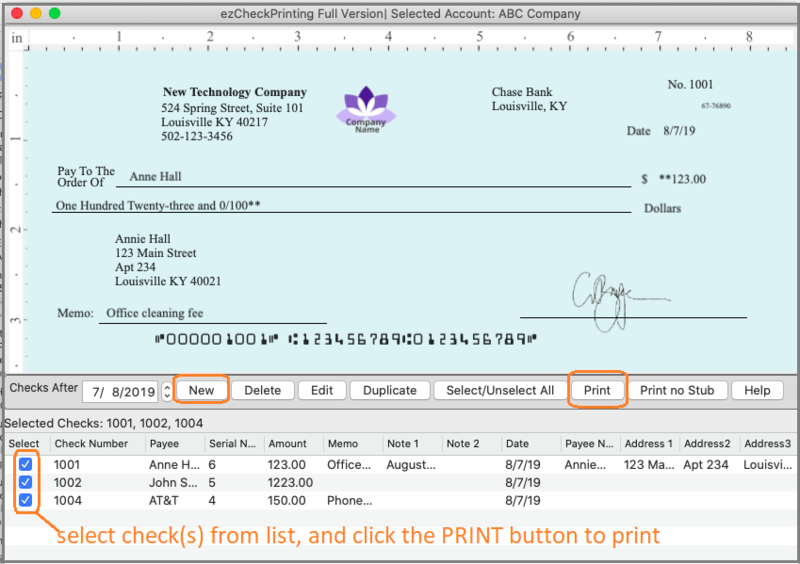 Click the ezCheckPrinting icon to start this check writer application. Step 3: Setup the bank account and add the logo image. 3.1 Click the top menu "Settings->check setup" to open the check setup page. 3.2 Set up your check information and add your company logo file there. Note: If you do not need to use Logo image and signature image, just delete the image path. You should use jpg, bmp and gif format image files for logo and signature. MAC machine cannot support some image files such as png file. If you use a wrong image file, you may see error message "Access Violation. Press OK to ignore and risk data corruption. Press cancel to kill the program" when you print check. Click the top menu "Settings->Check layout" to open the check layout page. 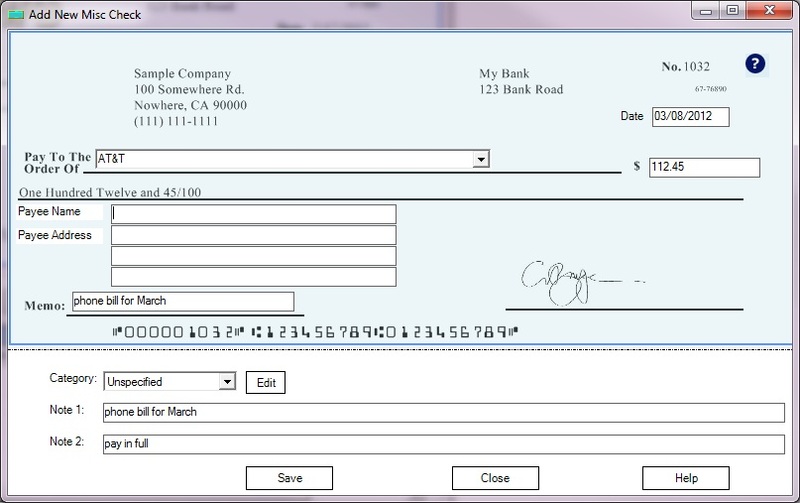 You can customize the layout of your check by changing the font size, logo position, logo size or add a new label. To customize the logo, you need to select the logo on screen. Then you can resize it or drag/drop the logo to a new position. If you are satisfied with the effect, you can save your change. 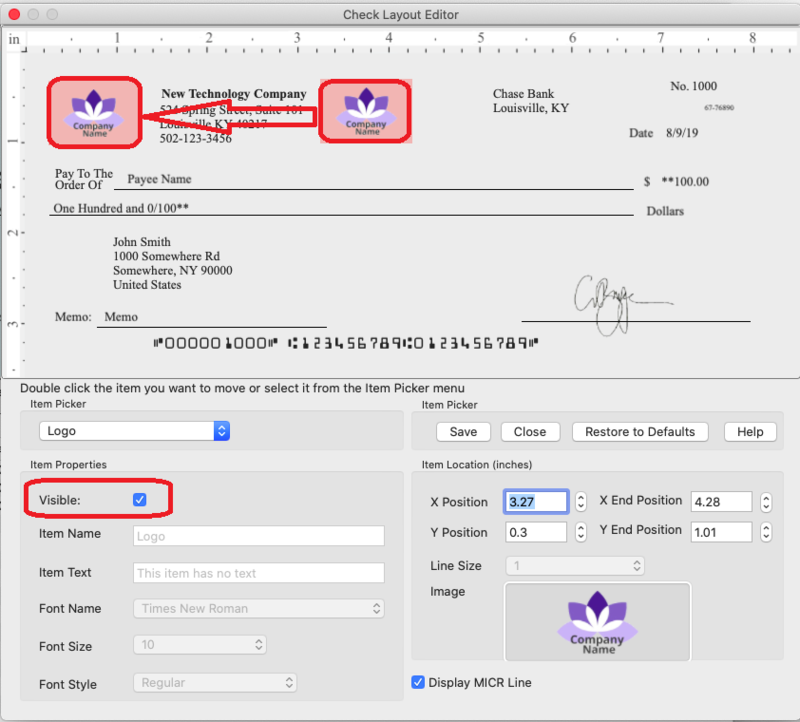 Step 5: Add a new check and print check from Macintosh. 5.1 Go back to the check list screen. Click the New button to add a check. 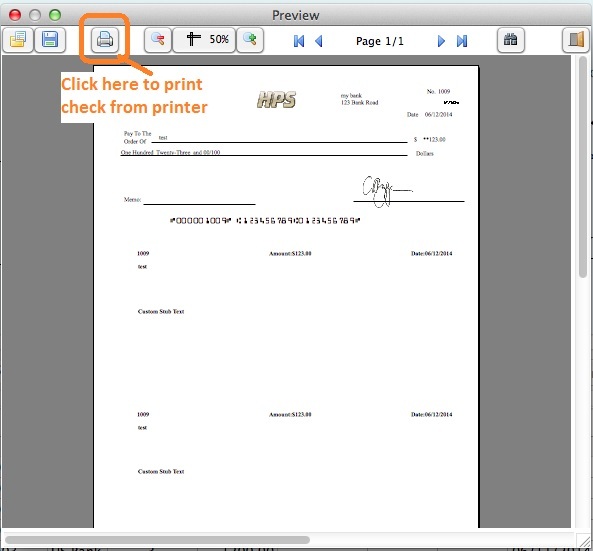 5.2 Select the check(s) from the check list and click the Print button to print your check. After you click the printer icon on preview screen, you will see the printer option screen. 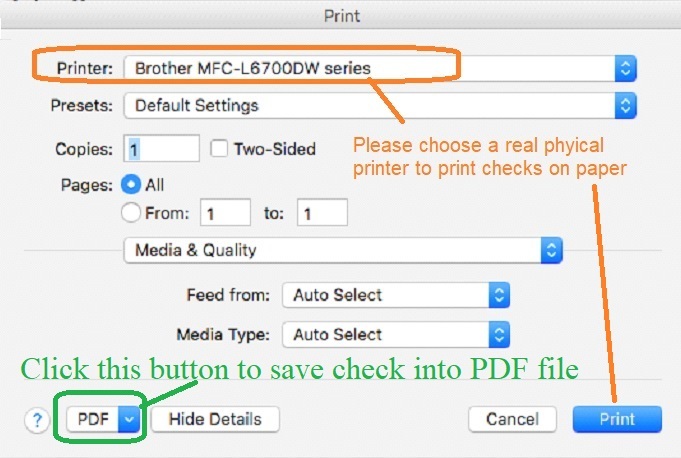 If you do not want to use the default printer, you can select a different printer in this step.